Himoto ETY-16 - # HI4194 / # HI4194BL • (Radio Controlled Model Archive) • RCScrapyard. RCScrapyard ► Iconic Vintage Radio Controlled (RC) Model Car Archive ► Himoto ETY-16. HI4194/HI4194BL. 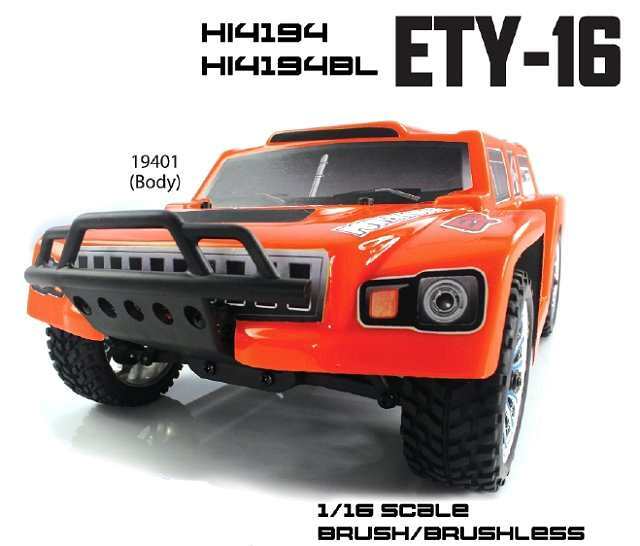 Introduced by Himoto Racing circa 2014, the 4WD ETY-16 Desert Trophy Truck, was available RTR with a 380 brushed motor - # HI4194 - or with a brushless motor - # HI4194BL - ESC and radio system. The model is shaft driven, on a molded plastic double deck chassis, with gear type differentials, coil spring over oil filled dampers, dogbone drive-shafts, bushings and ball bearings. 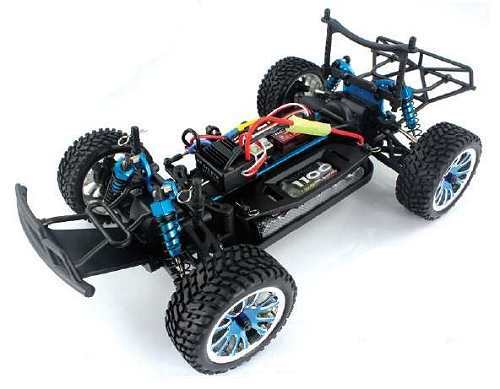 To race the Himoto ETY-16, you need to tweak and adjust all you can to give your car improved handling, stability and grip to ease around the curves and keep you on the track. One little setting change can transform your car into a world beater. Just follow our chart to attain the most favourable Set-up to suit your particular needs on any track. 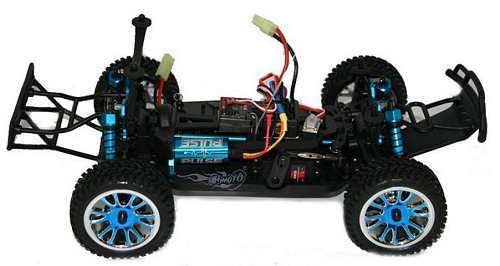 Buying a used Himoto ETY-16 Electric Truck, or any used RC Model, has a number of advantages. It is generally cheaper than new, ready built and may come with a variety of expensive hop-ups already installed. Cheap, pre-loved bargains are always becoming available. However, depending on the age of your purchase, it may need a little tender loving care before you can take it out on the back yard. If the body shell of your Himoto ETY-16 is broken, ripped or damaged in any way, this can be easily repaired with rubber solution glue. Also, for added protection and if available for your ETY-16 model, fit an under guard to stop dirt and gravel entering the chassis. If you intend to race your ETY-16 Truck model at a competitive level, I would also recommend you obtain and fit titanium pivot shafts, turnbuckles, tie rods and steering rods. 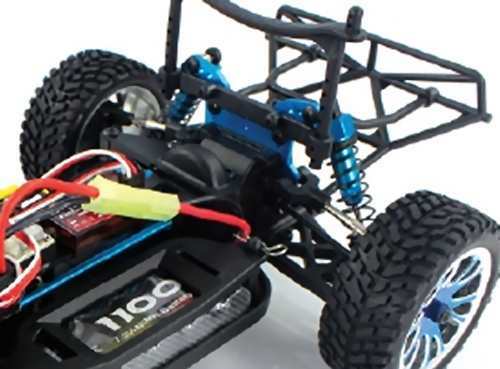 The ETY-16 steering servo is also prone to damage. In high speed crash situations, the fragile gear teeth of the servo can be broken off, rendering your expensive servo useless, so be sure to obtain a good quality "Servo Saver". Check out my Servo Information article. 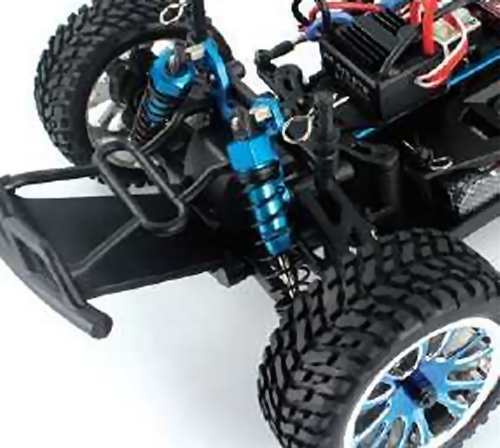 If body roll on your Himoto ETY-16 is a problem, handling can be improved with the use of stabilizers, anti roll or sway bars, stiffer tuning springs and, or, thicker silicone oil in the dampers. 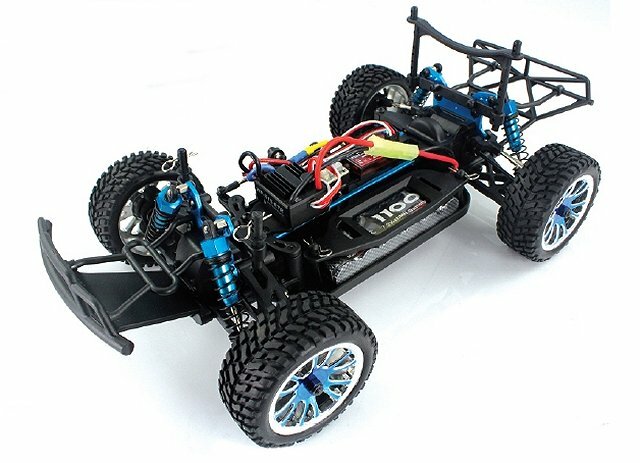 Finally, good luck with your ETY-16 model and good racing.